The instruments displayed below are part of our Viola Collection. We are very fortunate to have examples by many of the finest makers and are able to offer a variety of Italian and French instruments for sale. If you would like more information or would like to check the availability of any of our violas please contact us by email or phone. Our current collection also includes fine examples of G.P. Maggini and Matteo Goffriller. Information available upon request. Rare Violins of New York is proud to host a fine collection of Contemporary Instruments in addition to its rare instrument collection. In recent years, Rare Violins of New York has expanded its reach to provide all serious musicians with high quality instruments at every price point. Rare Violins of New York's contemporary collection includes instruments from Gregg Alf, Douglas Cox, Alan Dipsea, Francis Kuttner, James McKean, Guy Rabut, and Anna Tartari. We look forward to welcoming visitors at our new location, a space that is currently under construction in preparation for our upcoming move. 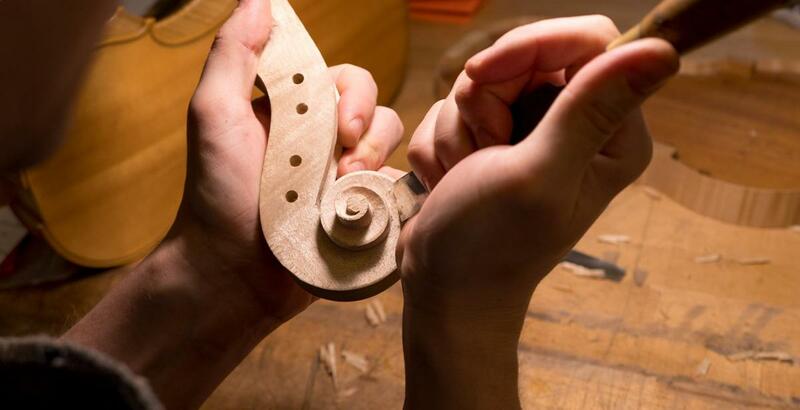 While dedicated to maintaining great violins of the past, Rare Violins of NY is also committed to encouraging and promoting the work of contemporary violin makers.